Here at Peregrine we want to make sure our jumpers and coats stand up to the test of the most extreme weather. 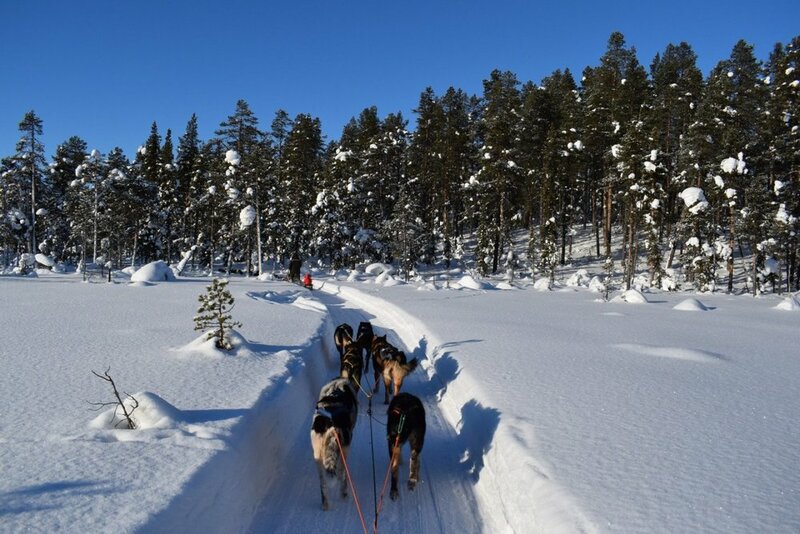 We thought there would be no better way to test this than by getting in touch with our friends at family run business Husky Tours Lapland. 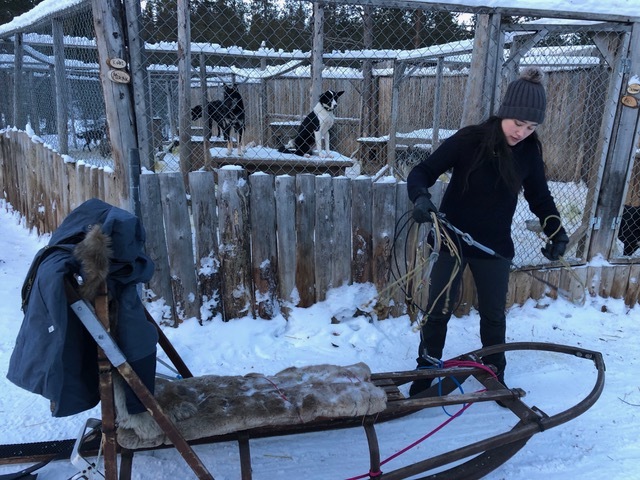 They face some of the harshest winter weather and with over 80 huskies to look after there is no escaping it. Firstly could you give me the history of Husky Tours? What made you decide to start a sledding business? In December 2005 I was working for an adventure company that sent me to Kiruna, Sweden. I had a group that went for a husky trip, where I met my current husband. He was one of the guides and he took me on the ride of my life!! From there I ‘missed’ my flight home and settled in Norway for a little while untill we could find neutral ground in Svappavaara. We worked as freelancers for many the other dog sledding companies in the area at that time, we had more and more requests to run trips on our own. Having the knowledge of how others run their companies we decided to try things a little differently. Create a company to share our passion with other adventurers, and try to live the outdoor lifestyle with our dogs and family! We’ve heard Lapland can reach below - 40 degrees, how do you deal with/prepare for the coldest months? Here we have experienced minus 48! The way we prepare is to layer.. and layer and layer! This is where merino wool comes in!! It’s all about dressing properly! We run our trips at all temperatures, so it’s imperative we have excellent gear. Keeping your neck and head warm is really important. as is your feet with warm wool socks. What sort of different husky tours do you offer? 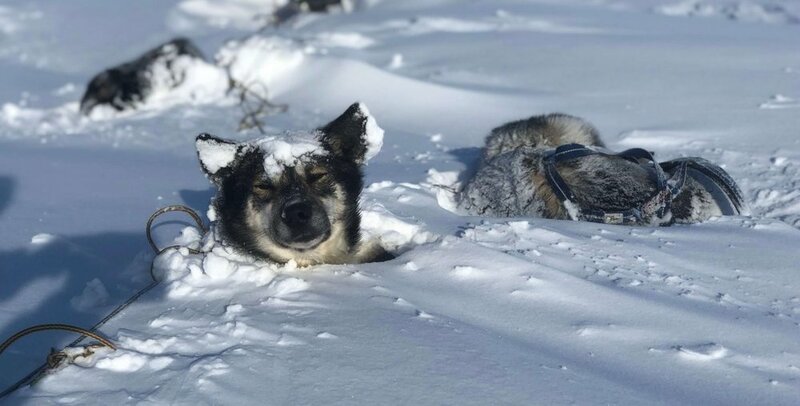 From our sit back and relax tours where guests get to sit on the sled and just enjoy the ride and the scenery (particularly the amazing aurora borealis in the evening) to tours where the guests get to help harness the dogs, drive them together with a friend and overnight on our weekend trips. On our combo trip, there’s a combination of both sitting and driving. One person sits and the other person drives the team of 5 dogs. Halfway the guests get to swap over so they get the best of both worlds. For those that want to drive their own team of dogs this is also available as just a day trip, an overnight tour staying at our homely lodge or a weekend trip! What’s your favourite part about husky sledding and why? The incredible feeling of freedom. When you are on the sled, with 8 dogs in front of you, complete silence, starlit sky, aurora borealis above you..it doesn’t get any better than this! Thank you to Jordana, Kent and the whole family.